A growing number of British marriages are ending amid allegations of affairs between spouses doing shift work and their colleagues. One of the country’s leading law firms has reported a marked increase in divorces resulting from rows about the hours worked by husbands and wives. 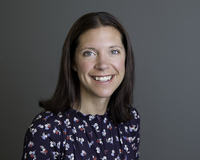 However, whilst Claire Reid, a Senior Associate at Hall Brown Family Law, acknowledged that unpredictable working patterns could themselves create tensions at home, almost 80 per cent of shift work divorces involved suggestions of infidelity. She added that a “vast majority” of those cases featured claims of spouses having affairs with workplace colleagues. “It is perhaps not too much of a surprise to discover that working shifts can lead to difficulties between spouses. We have heard complaints that such arrangements can effectively mean living under the same roof but leading separate lives. “That strain, of course, can be made even more acute when there are children to be cared for because it can prompt rows about whether a husband or wife is making more of an effort for the family. “What has become increasingly clear, though, is that more marriages are breaking down not just because of the shifts but the extra-marital relationships formed while working them. “We were surprised to discover that nearly four-fifths of shift workers who divorce are accused of adultery and more than half of those are said to have been intimate with colleagues. It is these relationships which can push what might be an already troubled marriage past the point of no return. “Most such cases involve individuals working in the police, fire and health services and in factories – far more than divorces featuring professionals who may socialise with clients or colleagues and work rather more regular hours. Mrs Reid’s comments follow the publication of data by the Trades Union Congress (TUC) last October showing that the number of people in the UK working night shifts had risen by 275,000 since 2011. The same research concluded that individuals in their mid-40s were most likely to be asked to work night shifts – the same age group which accounted for the biggest proportion of divorces in England and Wales. In June, the Office of National Statistics (ONS) revealed that 36.4 per cent of men and 32 per cent of women who divorced in 2015 were aged between 40 and 49 when they ended their marriages. The TUC figures coincided with the publication of material from the Home Office showing that five per cent of firefighters in England in 2016 were female – an increase of 0.9 per cent on the proportion five years before. Statistics released by the House of Commons Library also detailed how 28.6 per cent of the police officers as of 31 March last year were female – up eight per cent on the figure for 2005. Earlier this year, the National Health Service (NHS) disclosed that women made up 77 per cent of its total staff complement. Mrs Reid described how one local council officer filed for divorce after finding out that her hospital doctor husband had an affair with a female colleague while working night shifts. In another case, she said that the divorce of an office-bound WPC who was unfaithful with a fellow officer was complicated by the fact that her husband was also a serving police officer working shifts at different times of the day. Mrs Reid claimed that shift work was an unavoidable prospect for some couples because of economic pressures.